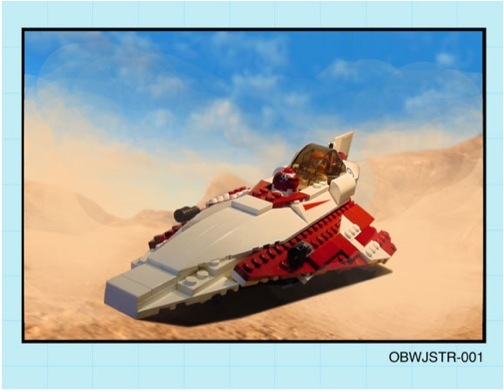 The OBWJSTR-001 manual contains a 24 page step by step guide to building this alternate version of set #7155 using bricks from your own collection. Cockpit opens and has flick fire missiles. Retractable landing gear, and sweeping wings. 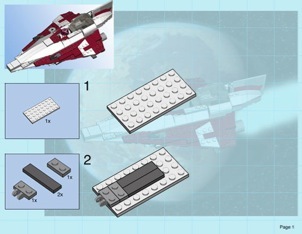 CD also contains a complete parts list you will need, and photo stills of the completed build. Easy conversion with minimal extra parts needed!